Can it be summer yet? Yes? 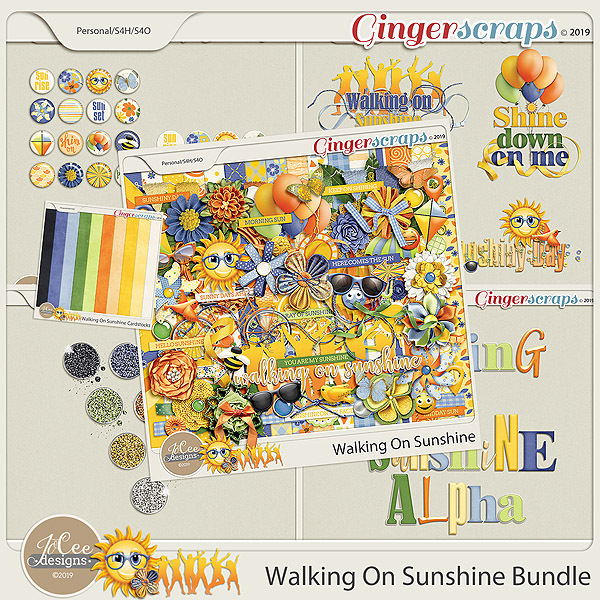 If it’s WALKING ON SUNSHINE, if can! 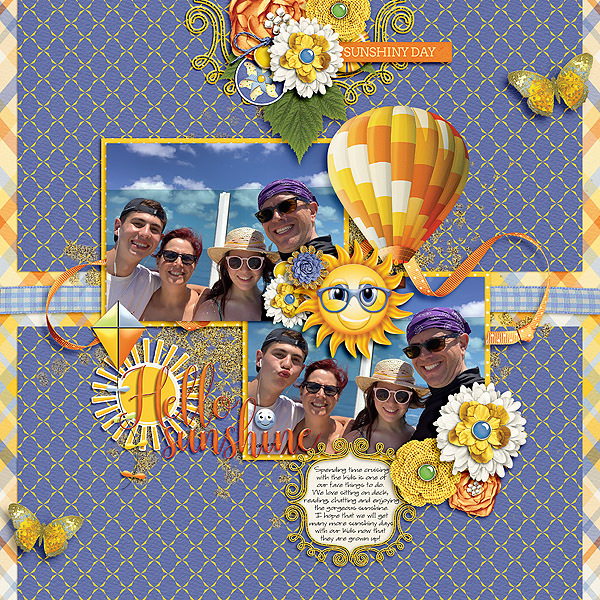 New from JoCee Designs, this collection is FULL of the bestest, bright, yellow, orange and blue, summer-themed favorites! Shades, a kite, balloons, and birds. There’s a buncha SUN, YAY, some smilies and flowers and bees and butterflies. 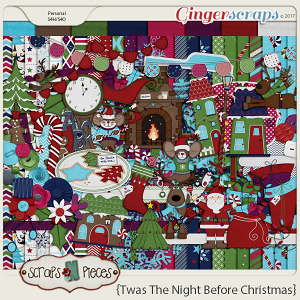 You’ll even find a great silhouette of playful peeps, jumping for JOY at the prospect of warmth and rays! 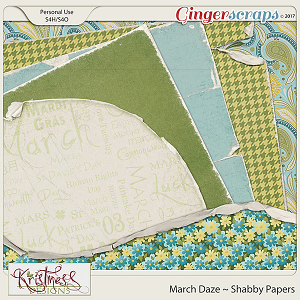 The patterned papers are radiant and there are glitter papers AND the style and pattern files. 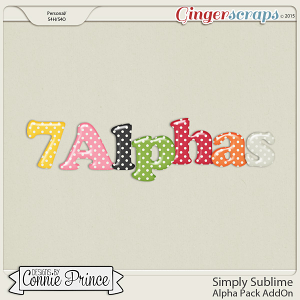 Filling out the rest of the collection with shiney brilliance arefour pieces of word art, 16 flairs and stickers and fourfull alphas. 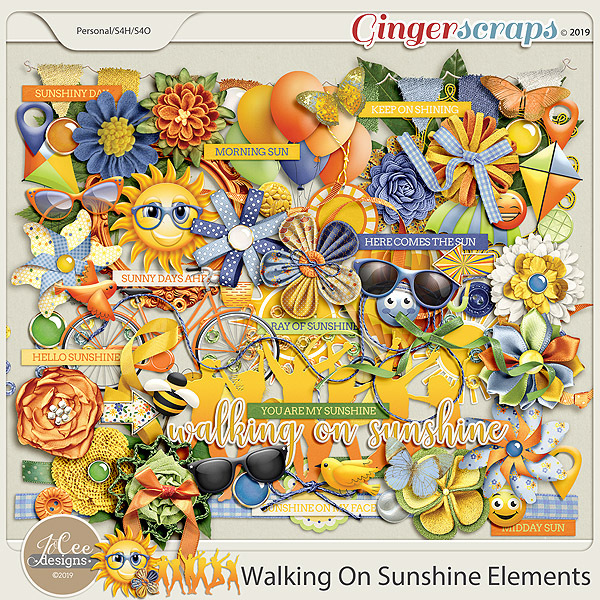 Included in theWalking On Sunshine Elementsby JoCee Designs are 86 coordinating elements to add a spark of fun to your page. 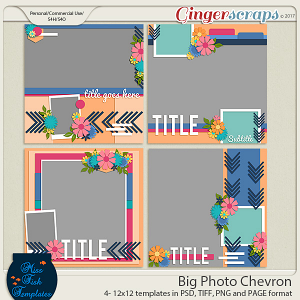 Big Photo Chevron Templates by Miss Fish Oceanside Borders by Aimee Harrison Amazing year - October 2.